If you haven't noticed, the Indian has been dominating American Flat Track this season. Then we got to see Travis Pastrana prepping for his iconic Evel Knievel jumps with a modified FTR 750. What we're getting at here is that Indian Motorcycle has been mercilessly showcasing a platform and look that had no available-to-the-public version of it. Until now that is. The Indian FTR 1200 will join the brand's 2019 lineup, though no exact availability has been announced just yet. Check the press release below for all the info and to see how you can win one of these bad boys for yourself. – Indian Motorcycle has put months of public speculation to rest. 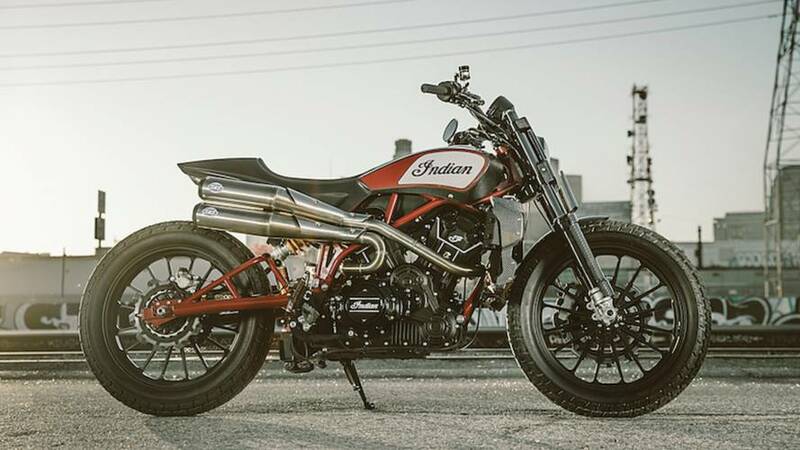 Today, at the Wheels & Waves festival in France, the iconic American motorcycle company confirmed that an FTR 1200, inspired by Indian’s storied history in flat track racing, will be going into production.